Somebody left a comment the other day on my Batwoman post to say that I should put some red on that sketch. I love this! It rocks! I love Red. Is he using his pistol as a vaulting pole? Love it. Nice to see the sketches returning to the blog & Twitter. I LOVE IT!!!! 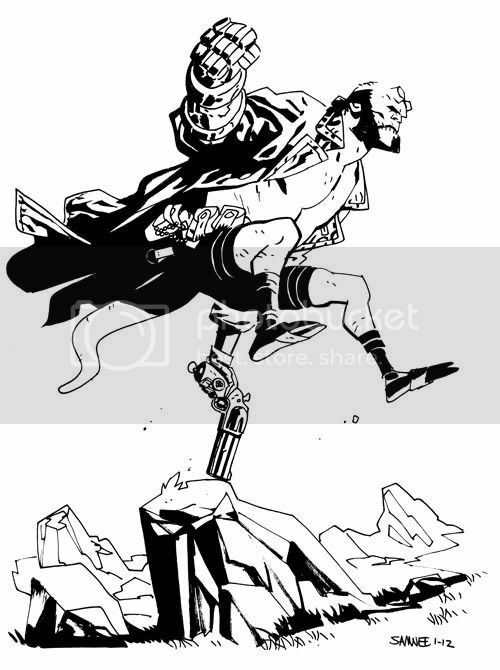 It's great to see you back to daily sketches and this Hellboy is simply great! (btw I'd love to see you work on some BPRD books). COMICS ON TEES?! WHAT'LL THEY THINK OF NEXT?! !